Fashion Rules Restyled: new dresses, new rules. 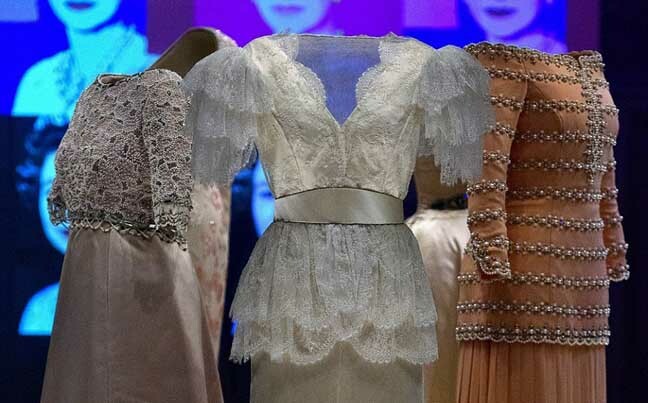 This hugely popular exhibition has been restyled with iconic new dresses from the collections of HM The Queen, Princess Margaret and Diana, Princess of Wales. 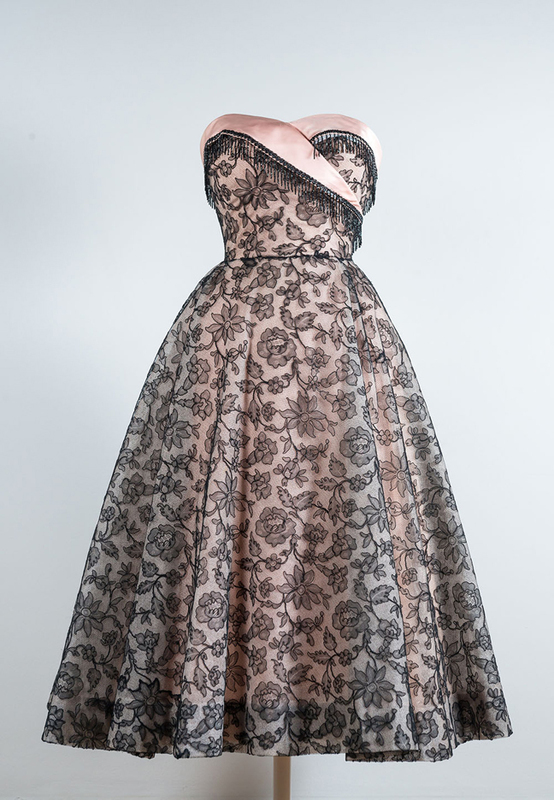 As the Queen’s younger sister, Princess Margaret experimented with fashion, and in the 1950s patronised the Paris couturiers to create a distinctive high-glamour silhouette. Being among the first to embrace Christian Dior’s full skirted New Look – in stark contrast to the frugal fashions of post-war rationing – the princess’s bold outfit choices were imitated the world over. 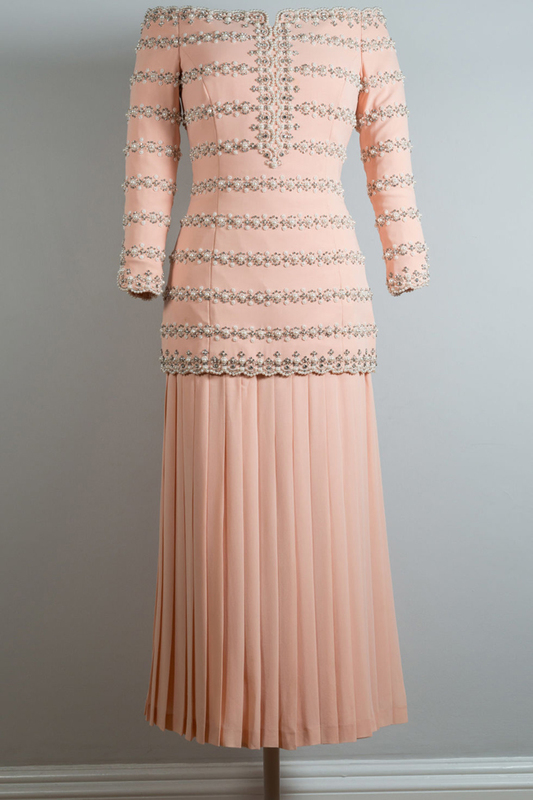 An exquisite late 1940s candy striped dress created in the Paris style for Margaret by royal couturier Norman Hartnell will go on display at Kensington Palace for the first time, alongside silk scarves and sunglasses from designers such as Yves Saint Laurent, Christian Dior and Hermes, revealing the discerning eye for quality and high fashion considerations of this thoroughly modern princess. 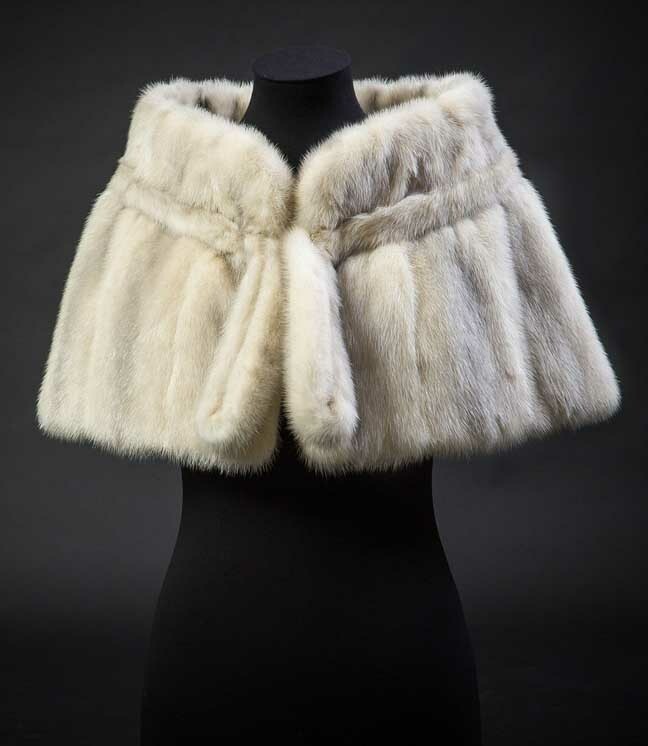 By contrast, items from the richly decorated wardrobe created for HM The Queen in the 1970s by British couture stalwart Hardy Amies showcase a century-long royal trend of diplomatic dressing, rendered elegantly across the finest silk, satin and delicately woven chiffon suitable for even the warmest of foreign tours. 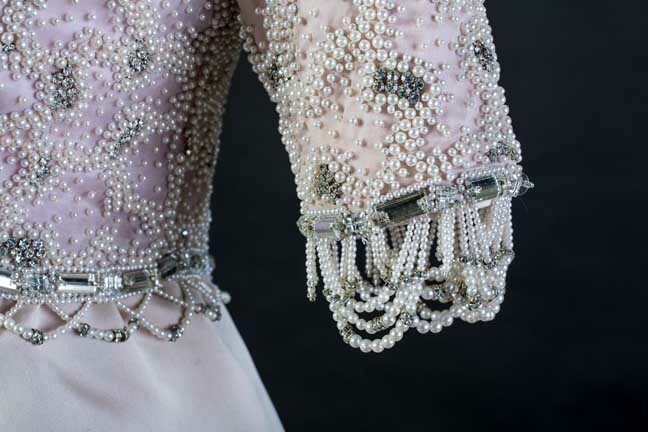 Stunning formal dresses created for state visits to France and the Middle East, and worn for engagements as diverse as a film premiere and a reception at the palace of Versailles, reveal the special considerations in dressing as a monarch. For Diana, Princess of Wales, the early 1990s signalled a move towards a more slim-line, tailored look, with dresses from this period a result of collaboration with key designers such as Bruce Oldfield and Catherine Walker to craft a sleek signature look. The Princess’s faithful patronage of home-grown designers was credited with almost single-handedly reviving the flagging British fashion industry, and the outfits on display will explore the rules of her much-imitated style. From a tartan and black velvet evening gown designed for an evening of Scottish dancing at Balmoral, to the double-breasted styling of a bottle green silk velvet halterneck worn privately by the princess – and later made famous by Mario Testino’s iconic photographs commissioned to support the sale of her dresses at Christies – the display will explore how Diana’s wardrobe had the power to set trends both at home and abroad, and represented a truly modern royal style.